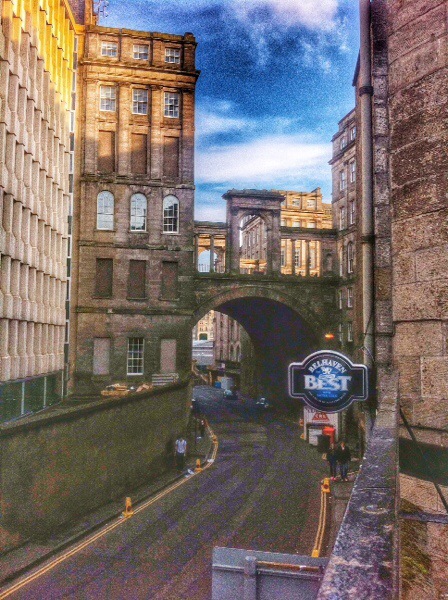 One of the surprising sights of Edinburgh – neat little bridges over roads leading through the twists and turns of the city. I am sure you would enjoy exploring the city. I snapped the scene with my iPhone using an HDR app and I must go and shoot the scene with a camera with a wide angle lens.